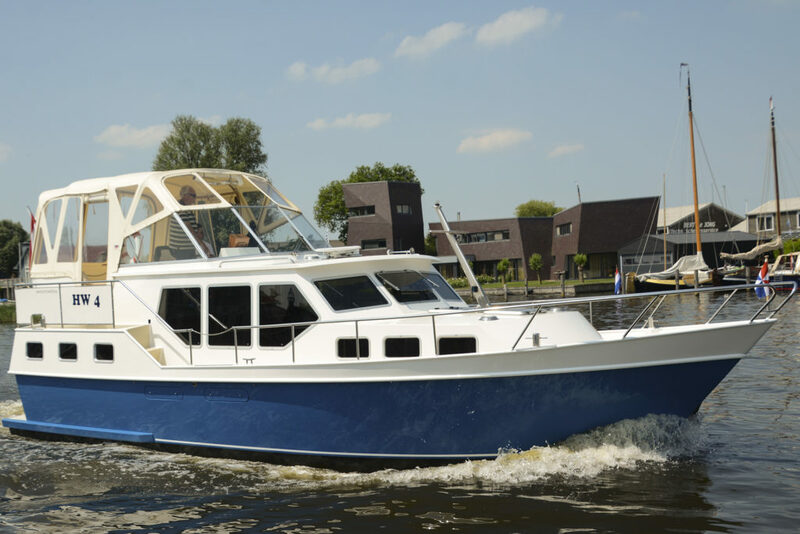 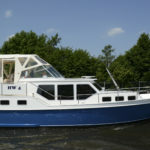 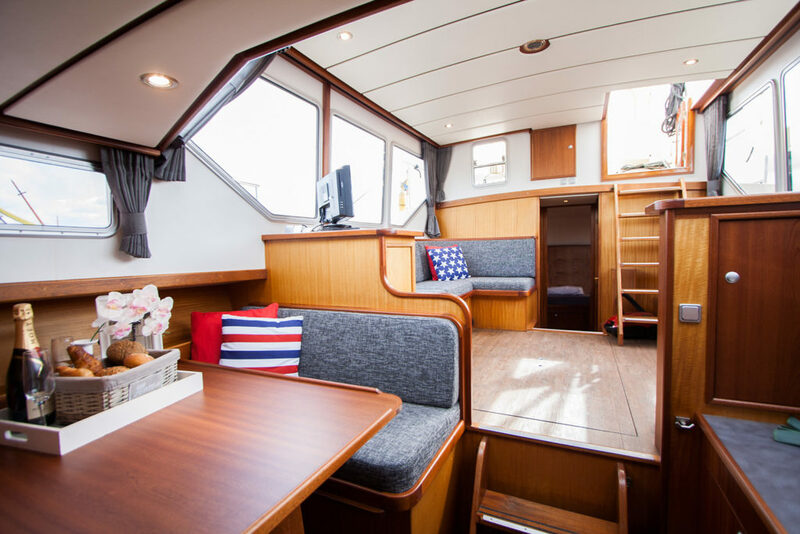 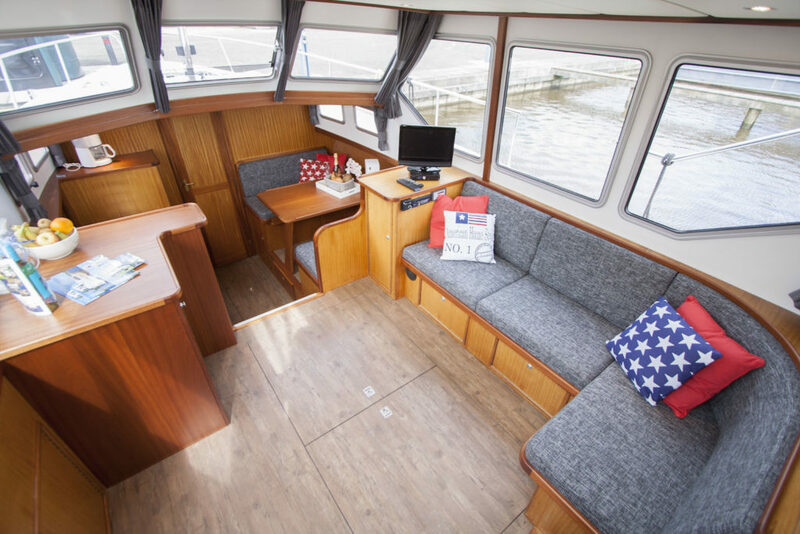 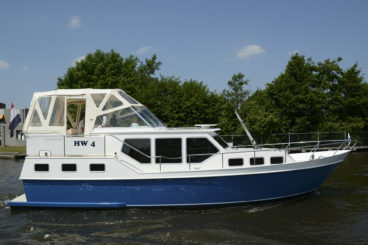 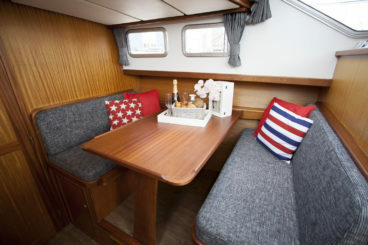 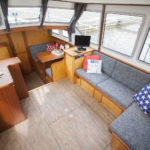 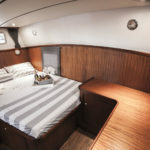 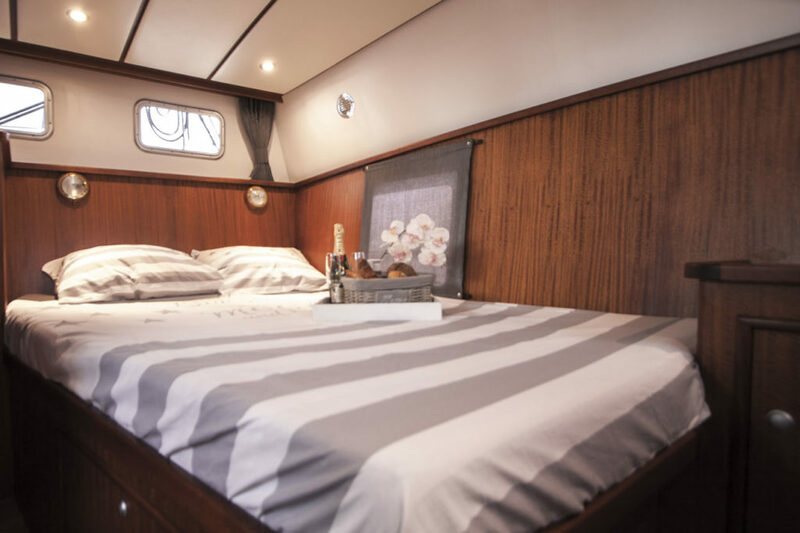 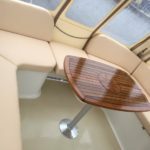 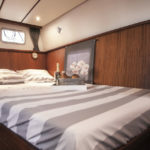 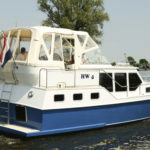 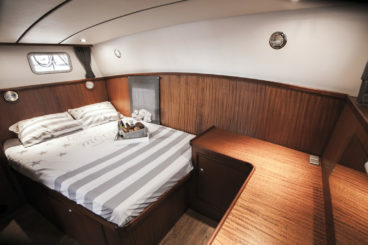 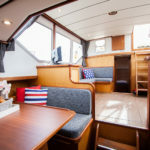 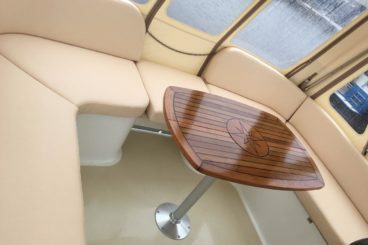 The HW 4 is a spacious family boat, but also suited for 2 couples. 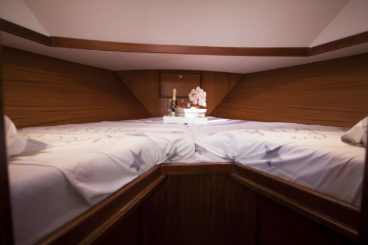 The ship is divided with two spacious cabins. 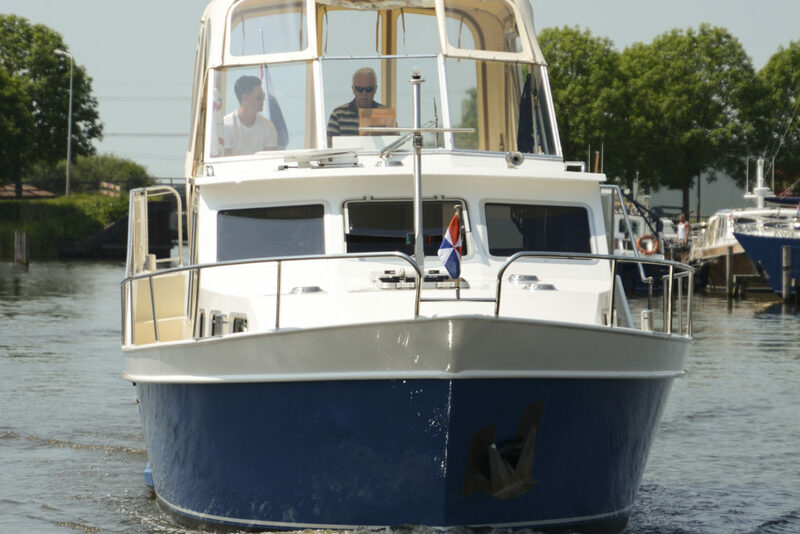 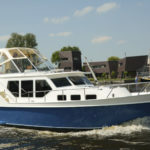 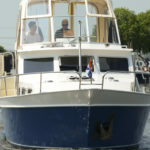 The ship is easy to steer and manoeuver with bow and stern thrusters. The HW 4 can accommodate up to 6 people. 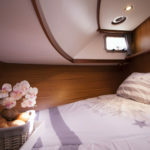 In the front you find a large double bed which can also be used as two singles. There is plenty of cupboard space. 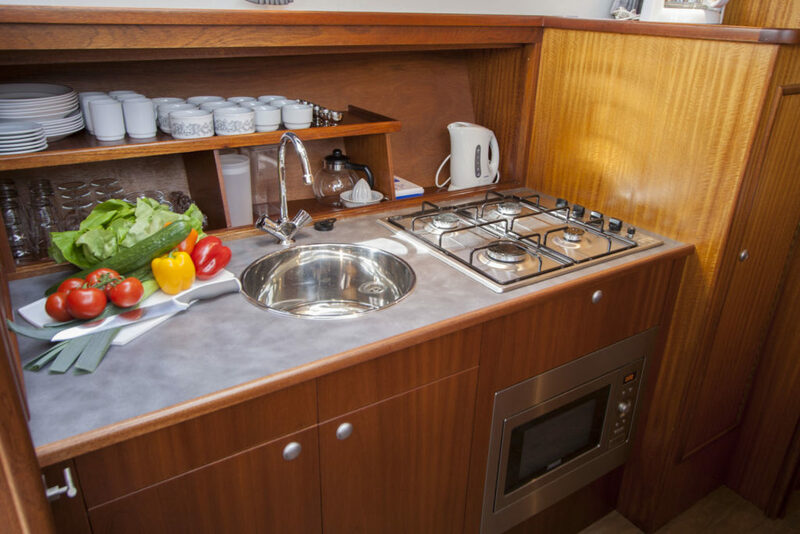 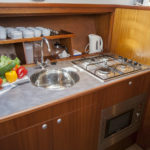 The kitchen is equipped with a four-burner stove, a large fridge and coffee machine. 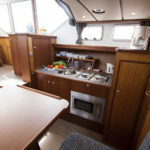 Also there is a nice dining place/dinette. 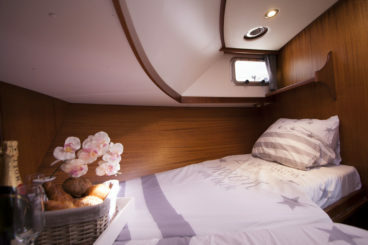 This can be converted to a double bed. 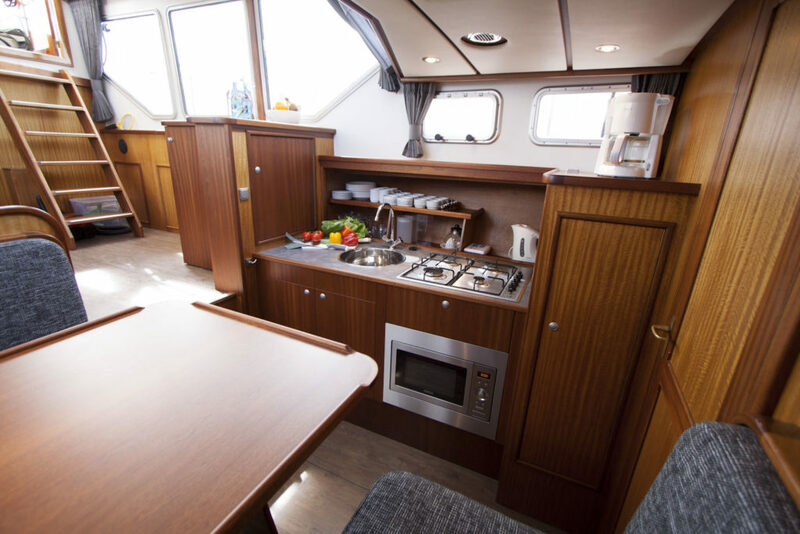 The saloon has a spacious and comfortable lounge, radio and television with automatic satellite receiver. From the saloon you have a wonderful wide view because of the big windows. 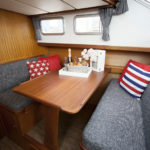 The inside helm is also in the saloon. 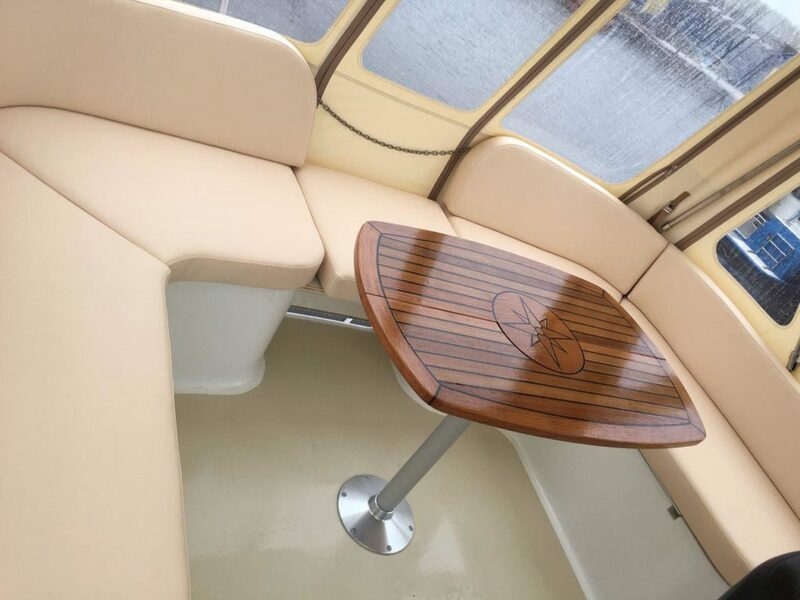 Nice to sit together when the weather is bad. 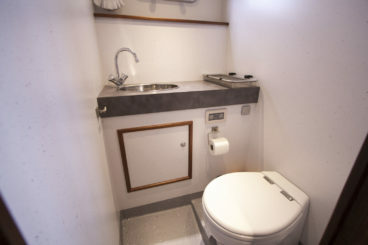 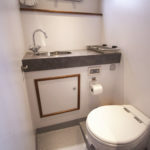 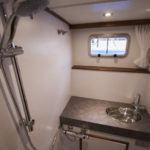 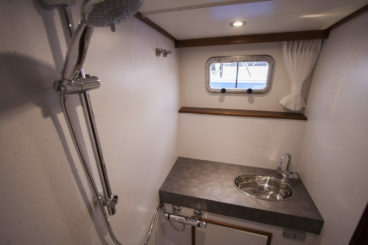 In the back of the ship you find the toilet compartment and a separate shower compartment. 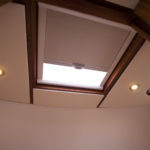 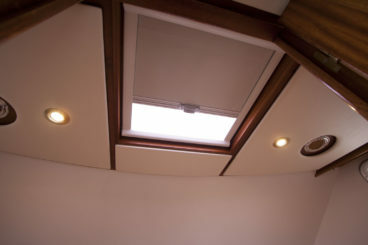 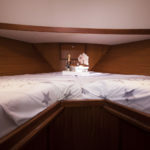 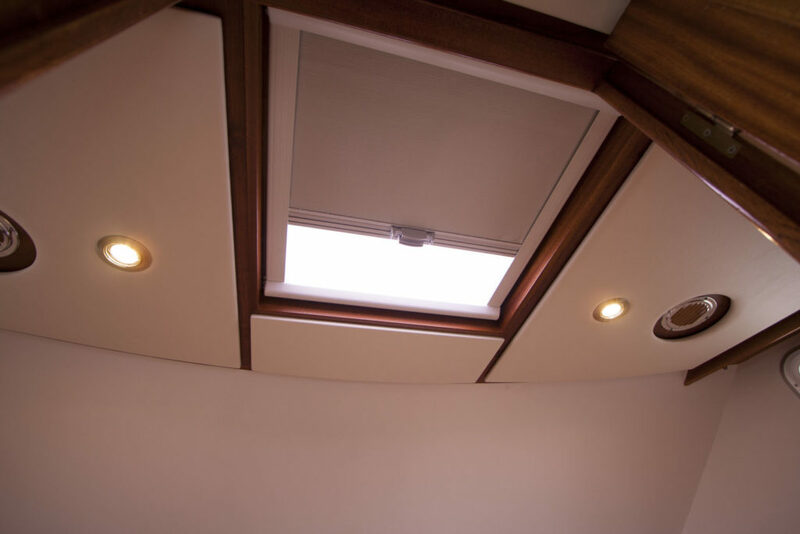 In the rear cabin you find a large double bed and lots of cupboard space.